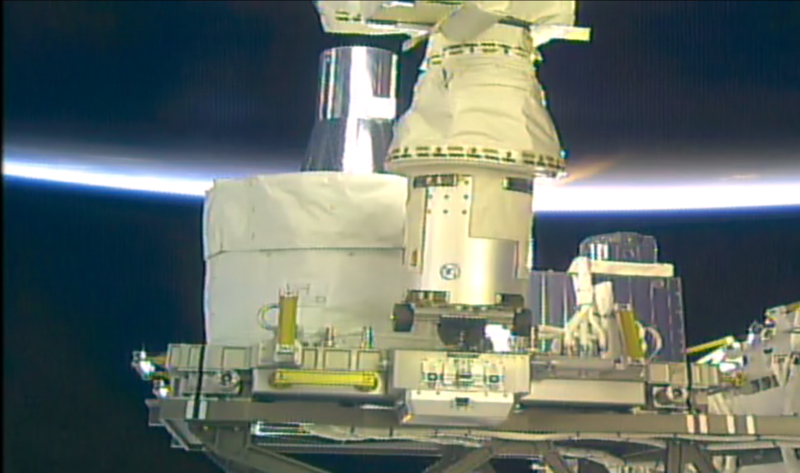 The Stratospheric Aerosol and Gas Experiment III is visible here on its new home on the International Space Station's ExPRESS Logistics Carrier platform. Just a little more than two weeks after its Feb. 19 launch on a SpaceX Falcon 9/Dragon spacecraft, the Stratospheric Aerosol and Gas Experiment III (SAGE III) is now safely installed on the outside of the International Space Station, where it will monitor ozone and aerosols in Earth’s upper atmosphere. 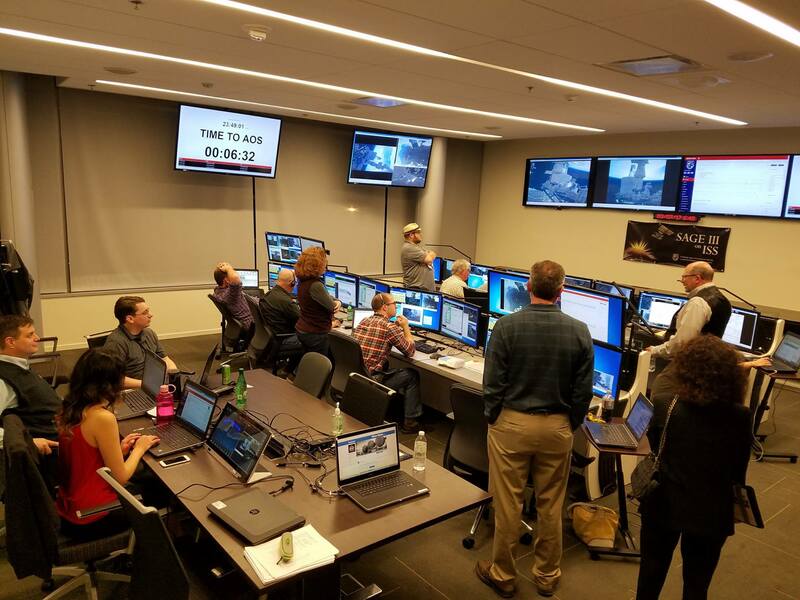 The SAGE III mission operations team monitored the installation from the Flight Mission Support Center at NASA's Langley Research Center in Hampton, Virginia. In a highly choreographed sequence of events, the station’s robotic Canadarm2 removed the instrument payload and its Nadir Viewing Platform (NVP) from the Dragon trunk and installed them on the ExPRESS Logistics Carrier platform. The entire sequence took about four days. The NVP allows SAGE III to face nadir, or down, toward Earth. Final installation of the instrument payload, which includes SAGE III and its hexapod pointing system, took place March 7. Activation and calibration of SAGE III will take approximately 90 days. Brooke Thornton, SAGE III mission operations manager, and the mission operations team will closely monitor those activities from the Flight Mission Support Center at NASA’s Langley Research Center in Hampton, Virginia. It’s an exhilarating time for the mission operations team. Thornton admits to feeling both excitement and nervousness, but also a strong sense that she and her team are ready to do their jobs. SAGE III is a key part of NASA’s mission to provide crucial, long-term measurements that will help humans understand and care for Earth’s atmosphere. It went to the station as part of the first commercial launch from historic Launch Complex 39A at Kennedy Space Center in Florida. The SpaceX cargo resupply mission carried around 5,500 pounds of research equipment, cargo and supplies to the station. In a highly choreographed sequence of events, the International Space Station's robotic Canadarm2 removed the SAGE III instrument payload and its Nadir Viewing Platform (NVP) from the trunk of the SpaceX Dragon capsule and installed them on the ExPRESS Logistics Carrier platform. The entire sequence took about four days. In this animation, it's condensed down to about 37 seconds.